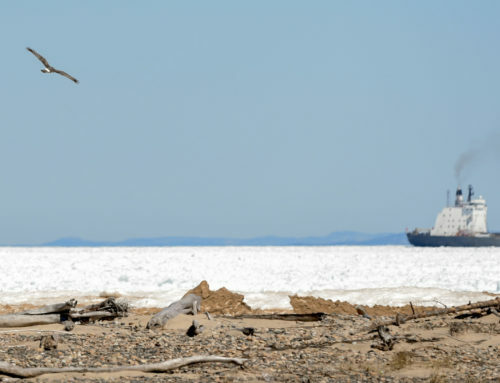 Here is a list of all of the waterbirds that were counted during the waterbird count at Whitefish Point in Spring 2017, along with the seasonal totals from Aril 15 through May 31. The count was usually conducted for eight hours, beginning at sunrise, but there were a few days when the count was shortened because of inclement weather and a few days when the count went longer than eight hours because there seemed to be active migration still going on. There were also counts done on several evenings, and highlights from those flights are mentioned separately. Of course, other birds besides waterbirds are seen on the waterbird count. 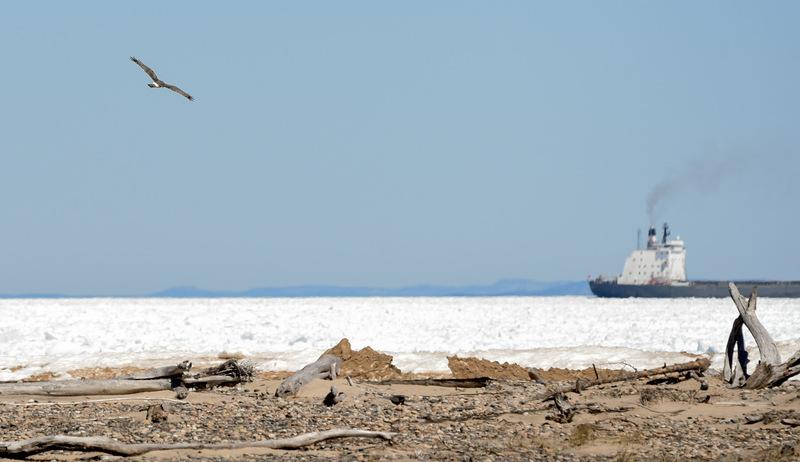 At least one of each raptor species recorded at Whitefish Point this spring was also seen from the waterbird shack (except for Red-shouldered Hawk), including Northern Goshawk and such rarities as Cooper’s Hawk and Swainson’s Hawk. The waterbird count tallied most of the season’s American Pipits (1207), Lapland Longspurs (181), and Snow Buntings (65), and the season’s only Red-headed Woodpecker.